14 Cameras, the sequel to the creepy stalker movie 13 Cameras, just got its first trailer and poster – Check out both right here! 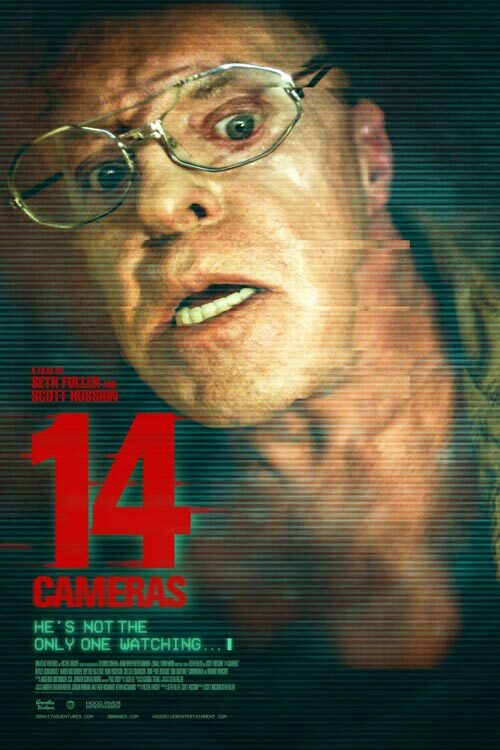 14 Cameras brings back the creepy stalker from 13 Cameras, played by the amazing Neville Archambault. Besides Archambault the movie stars Amber Midthunder, Chelsea Edmundson, and Brianne Moncrief. 14 Cameras is directed by Scott Hussion and Seth Fuller from a script by Victor Zarcoff. When a family of four rent a beautiful house for their summer vacation, the price seems too good to be true. Unbeknownst to them, the lascivious owner (Archambault) has set up a series of spy cams throughout the house, documenting their most intimate moments and live-streaming them to the dark web. Personally, we can’t wait to experience more of the brilliant Neville Archambault. He completely won us over with 13 Cameras and we’ve been looking forward to this sequel. Also, we’re pretty excited about the new twists they’ve added to the plot. Looks pretty damn good – even if the trailer does give away more than necessary. 14 Cameras will be released by Gravitas Ventures in theaters and on demand in the US on July 27, 2018. Watch the trailer for 14 Cameras below! NextWatch the first trailer for THE NUN!